I finally bit the bullet and shelled out the 37 bucks (1 fl. oz of product in a nice pump dispenser) for the ReCreate Foundation - and for the most part, I’m happy that I did. 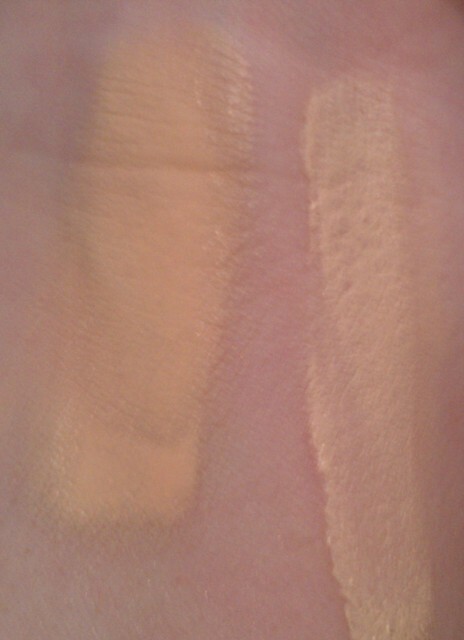 Right off the bat, the ReCreate Foundation in Porcelain is slightly darker and more yellow than the Amazonian Clay Foundation in Fair. One of the reasons I love the Fair shade so much is that it’s pretty much neutral, so you don’t have to worry about looking too yellow, too pink, or too orange. 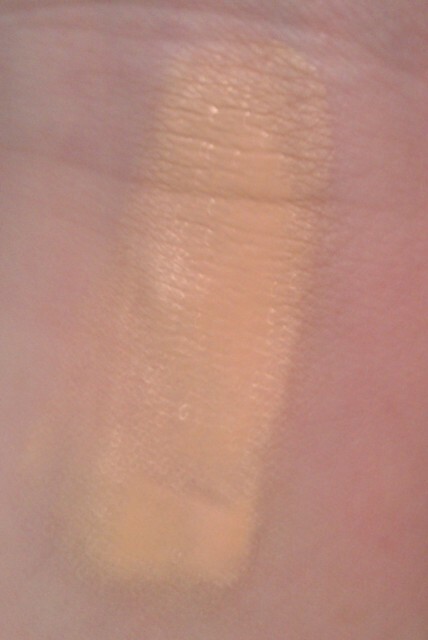 But despite being a bit warmer, the ReCreate in Porcelain blends into my skin pretty seamlessly so I don’t have any real complaints about the color. The formula is definitely a better match for my dry to normal skin. It’s thinner in consistency than the Amazonian Clay, and it’s definitely more hydrating so it does a good job hiding dry, flaky patches. Its packaging also claims that it increases skin elasticity and reduces wrinkles – now I certainly haven’t used it long enough to see those kind of results, but I’m pretty dubious about those kind of claims anyway. However, because it has a thinner, more fluid-y consistency, the ReCreate doesn’t seem to offer the same kind of coverage that the Amazonian Clay does. That foundation covers everything – seriously, everything. The ReCreate has more of a medium coverage, though the packaging refers to it as medium to full. I think you could get fuller coverage by applying a couple of layers, but when my skin is really dry, I try to avoid multiple layers so I don’t look too cakey. Still, I love the way that the ReCreate foundation looks on the skin – it has a satin finish that’s natural and fresh without looking too greasy or oily. I’d definitely recommend the ReCreate Foundation for anyone with dry skin, but I think it could work well for normal and combination skin as well. It comes in 10 shades, so you have a wider range of colors to choose from than with the Amazonian Clay Foundation (which only comes in 8 shades). 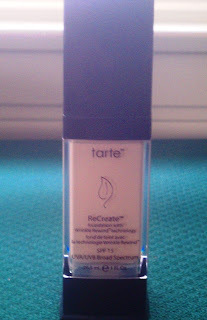 Have you tried the Tarte ReCreate Foundation? Does it work for you? What’s your favorite foundation? The finish is beautiful. Even when my skin's not super dry, I'm not a fan of matte skin products - they just look to flat on me. With Tarte ReCreate foundation, your skin looks really natural - not flat or too shiny, which can sometimes happen with foundations with a dewey finish.